Everyone in the neighborhood dreams of a taste of Omu's delicious stew One by one, they follow their noses toward the scrumptious scent. And one by one, Omu offers a portion of her meal. Soon the pot is empty. Has she been so generous that she has nothing left for herself? 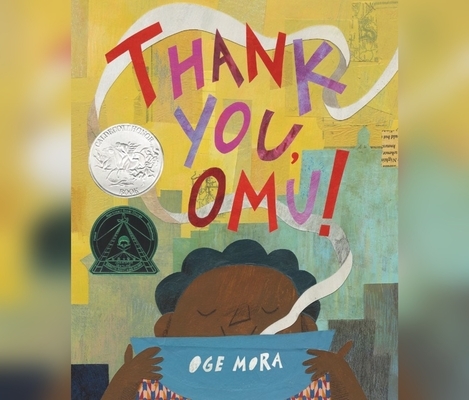 Debut author-illustrator Oge Mora brings to life a heartwarming story of sharing and community in colorful cut-paper designs as luscious as Omu's stew, with an extra serving of love. An author's note explains that Omu (pronounced AH-moo) means queen in the Igbo language of her parents, but growing up, she used it to mean Grandma.